Alongside Gheorghe Magheru, Tell was leader of the military component of the 1848 Wallachian revolution. Present at the reading of the Islaz Proclamation on June 9, he became a member of the Revolutionary Committee (alongside his fellow conspirators, including Nicolae Balcescu and Ion Ghica), and, after the June 11 revolt in Bucharest, a member of the Provisional Government of Wallachia. After the brief reactionary coup attempt of June 19, he helped organize the defense of the revolutionary power. He was charged with the creation of national guards - although his attitudes of the time indicate that he was moving towards Conservatism, an attribute which was used by the Wallachian revolutionaries in August, when the threat of an Ottoman intervention made the Provisional Government nominate a body of three moderate regents (alongside Tell, it included Ion Heliade Radulescu and Nicolae Golescu). When the Ottomans ultimately interevened against the revolution (September 1848) in order to satisfy the Russian request for order, Tell and most other revolutionaries fled the country; the former regents remained leaders of the moderate faction. He returned in 1857, when the decrease in Russian influence after the Crimean War made possible a call for a union of the Danubian Principalities, and was consequently an activist in the unionist camp prior to the election of Alexander John Cuza as ruler of both Wallachia and Moldavia (Tell was a deputy to the Ad hoc Divan of Wallachia and a member of the Common Commission in Focsani). 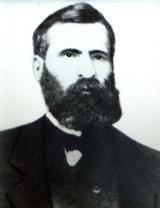 He served as minister in several cabinets under Cuza and Prince Carol, and was Mayor of Bucharest between November 1870 and January 1871.